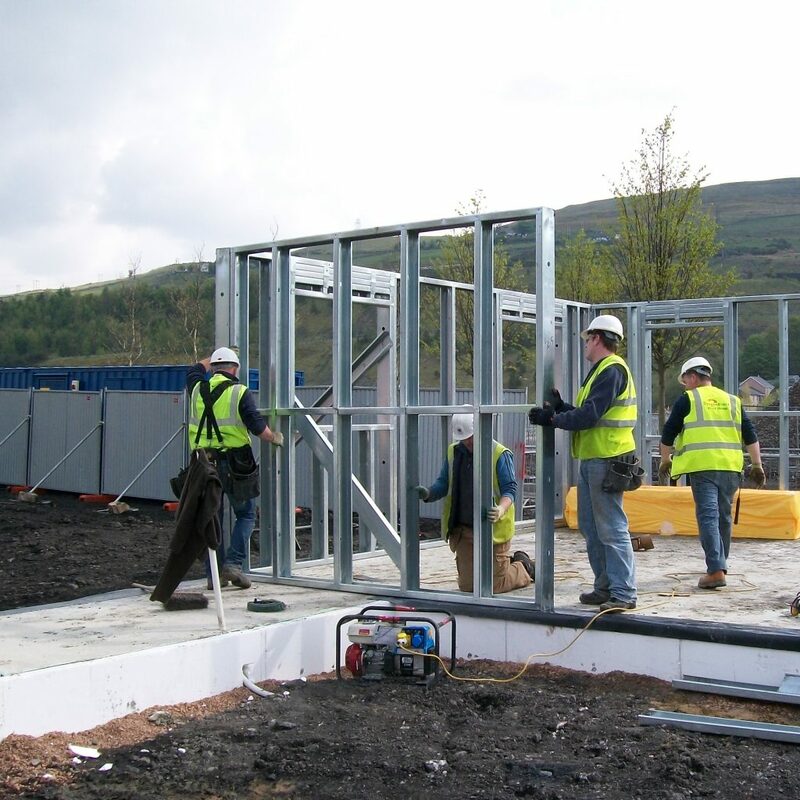 The TerraPura manufacturing and construction process of light gauge steel structures creates the opportunity for light weight walls systems to be built quickly and efficiently. Onsite construction teams closely liaise with the manufacturing facility in Newhaven, ensuring efficient delivery and a reduced need for costly and secure site storage. Deliveries are closely coordinated, without the challenges associated with third party building materials and delivery companies. As the frames are lightweight, unloading is quick and efficient compared to wet trade materials such as sand, cement, bricks or blocks.